This Christmas I whipped up some no sew tutus. They were so easy to make once you get past the headache and frustration of cutting the tulle, goodness I hate working with tulle. Though the tutus came out so cute and the smiles on the girls faces who received them made it completely worth it! I bought 5 yards of tulle for each tutu. And for the waistband I used elastic, sewing the ends together. Measure the child's waist and then reduce the size of the elastic by 2 inches and that should be a great fit. 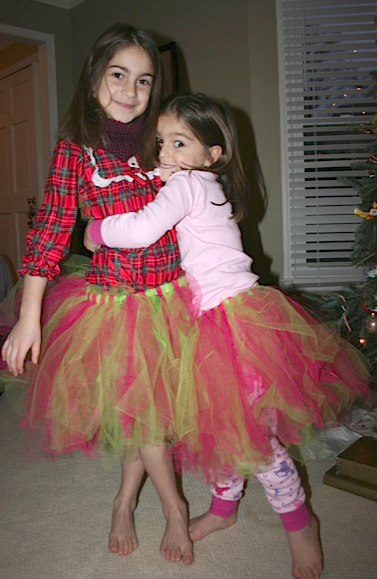 These tutus are so easy to make that I sat on the sofa and attached the tulle to the elastic while watching a movie. 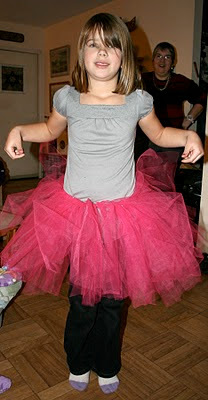 With 2 of the tutus I added ribbon every few inches to just add a different element to it. So simple and a fun, inexpensive gift! "secret stash" of things that make me a cool mom!